Money animates the institutions that shape every facet of our lives: political, economic, legal, occupational, social class, familial, and religious systems. Money—having it or not—is an integral part of the American national identity. We allow it to define us. We labor to earn it, are consumed by desire for it, spend it, save or hoard it, track it and devote inordinate amounts of time worrying about it. It determines where and how we live; the nature, amount, and quality of our purchases. Yet, most of us unquestioningly take for granted the existence of the debt-based monetary system, the creation of money, and its stifling control over us. We assume that this system that syphons so much joy out of our lives is a given, and we grant money tremendous power over us. However, if a critical mass of people steps outside the exploitative-economy arena and strategically redirects collective economic activity, we can change this. Regenerative, solidarity, share, gift, and steady state economy initiatives are bubbling up everywhere; from the bottom up. The “New Economy” movement is undeniably gaining traction and momentum. The magnitude of the needed game-changing economic transformation calls for a concurrent, equally-as-radical shift in consciousness. The Mid-Atlantic Transition Hub (MATH) is a network engaged at a regional level to help shift cultural values away from prioritizing material wealth, toward cultivating healthy human ecosystems. MATH asks people to imagine an economic system which values people and an independent, debt-free currency! What would that version of success look like? Our habitual reaction is a function of carefully crafted, systemic miseducation intent on maintaining a haze of ignorance and confusion about economics and the monetary system. Financial illiteracy, either deliberate or unconscious, makes it easier for us to endure in the traces; toiling and consuming to support the empty paper tiger that is the monetary system. The public is methodically led to misunderstand and is unwittingly manipulated to abdicate its power to the monetary system. The profit-driven growth economy demands this. The “Great Transition” underway encourages us to shake off the sleep of ignorance that sustains our entanglement with the dysfunctional monetary system—to liberate ourselves. We aid and abet the system that perpetrates human and environmental abuse when we willfully remain unaware of how it works. We can choose to wake up, educate ourselves in ever-greater numbers, and act to create a menu of alternatives. Articles in this section shed light on how the monetary system -the guiding mechanism in the economies of all nations -shapes our worldview and perspective. Contributors offer choices; -alternative escape routes from the debt-based, infinite growth monetary-market system. They encourage us to redirect our economic activity so as to circumvent the debt-service system. Authors speak to the need to strengthen local economies, value work in spheres that are currently undervalued and/or exploited by the market economy, and show how neighbors can take responsibility for creating economic models that meet people’s needs outside of the mainstream monetary system. The phone rings and dread grips the racing hearts of millions of Americans who anticipate a creditor on the line. Unopened mail piles up on kitchen tables because the anxiety of facing spirit-crushing mounds of bills is overwhelming. The specter of scarcity invades our thoughts and emotions. It generates stress, depression, fear, anxiety, and panic that erodes emotional and psychological wellbeing. Lack of money constricts our choices. It determines the quality of our health and limits access to quality healthcare. The average American staggers under the weight of debt. Transitioners however, dare to redefine wellbeing and the multiplicity of pathways open to achieving its maintenance. The Transition movement focuses on changing the narrative and invites people to reframe their desired economic outcomes. Understanding that money is created out of debt is to understand the force that governs our lives. Money in the American economy is loaned into existence. It is created out of thin air and is backed by nothing other than government fiat. That is, it is currency that by law cannot be converted into anything, has no fixed value measureable by any objective standard, and is intrinsically valueless. [strictly speaking, it is government taxes that provide fiat currency with its value; being the sole acceptable method of payment for taxes is what provides the ultimate underlying value of national currencies. -ed.] In other words, it exists and is perceived as having value because the government says so. We live in a nation where undocumented workers paid US $11.2 billion in taxes while General Electric paid zero taxes. Profit -- monetary gain at all cost -- trumps the wellbeing and needs of the people. Monetary idolatry, the unquestioned guiding force in our society, creates and deepens social stratification, consolidating power and wealth into the hands of the few, which makes democracy impossible. Demanding growth, the economy degrades the planet even as social programs are cut; leaving the most vulnerable populations to bear the brunt of the economic and environmental fall out. Citizens, civil society, and activists of all stripes — “the people” — who rail against the system are reduced to gestural forms of theatrical resistance that yield crumbs. All the while, systematic misdirection by the media, marketing, entertainment and advertising industries, spins the yarn of the American consumerist dream. Transitioners not only pick their battles carefully but have deliberately set out to create another, alternative playing field. We are building the scaffolding of a more equitable and egalitarian society. How is money created? How does it impact our lives? The Federal Reserve Bank (the Fed) which regulates U.S. currency is the centerpiece of the American monetary system. The Fed is a hybrid public-private instituion that makes its own policy and adheres to very little regulation. This independent entity controls interest rates and the expansion and contraction of the American money supply. The Federal Reserve engages in buying and selling financial assets -- usually treasury securities -- from banks in order to effect interest rates with the goal of manipulating the real economy. Because the Fed is the major issuer of currency (the US Treasury does control the minting of coins, but this is an insignificant percentage of the overall money supply), and because it injects currency into the economy through the mechanism of the banking industry, every dollar that enters real economy comes with an increment of debt to a bank attached to it. Perpetual debt, default, bankruptcy and planned product obsolescence, which fuels consumerism are built into, and sustain the system of economic growth in pursuit of profit. As the current Federal Reserve-centric system is structured, the American people cannot get out of the cycle of self-generating debt. Fear of default—of losing assets—and the struggle to stay above water in a sea of debt against the backdrop of inflation inherent in the system, demoralizes people. The Fed’s creation of scarcity within the money supply keeps the population in line. Only those few at the peak of the pyramid do well. The Herculean amount of time, labor, and emotional capital people invest in a system that has become the norm compels them to feel threatened by any deviation from the perverse norm that subjugates them. They begin to self-police; ridiculing, marginalizing, and attacking anyone who steps out of line. Fortunately, millions of other people are waking up to the reality that money and the monetary system are a mirage. Appeals to racial, sexual, and nationalist fragmentation -- fueled by those who stand to profit most from the divide and conquer distraction -- are no longer working as well as they once did. Like a monstrous shadow puppet, once we shine a light on the monetary system and see it for the empty but ingenious system of oppression it is, we can see our way clear to withdrawing our energy from its dysfunction. and combinations thereof, promote social justice, and the relocalization of investment and decision making power in ways that preserve and regenerate the environment. No one model exemplifies all of the answers. However, each represents an important step toward more equitable wealth distribution and decentralization of decision-making. Relocalization is a strategy, a process, and a framework for the “Transitioning” of communities. Local production of everything from food, energy, goods, and currency—to governance, sovereignty and culture in an equitable way, necessarily bolsters resilience. Comprehensive wellbeing, quality of relationships, and a healthy environment become the measures of success and happiness. Smaller, nimbler production facilities that don’t run continuous processes (operating 24 hrs., 7 days a week with infrequent shut downs) are beginning to replace large-scale production operations in certain industrial sectors such as artisanal foods. New technology is making small-scale production a viable alternative, which foretells a reduction in overtaxing the environment by extracting the raw materials needed to fuel a continuous process. The B-Corporation’s chartered mandate is the Triple-Bottom-Line accounting framework that prioritizes “people, planet, and profit,” in that order. The "three pillars of sustainability," which drive the social, environmental (or ecological) and financial mission of the B-Corporation give managers and shareholders more flexibility to run the business in line with their values. The B-Corporation charter is an emergent legal form designed to explicitly address the differences in opinion or values decision-makers in corporations may hold concerning social responsibility and/or environmental stewardship. The B-Corporation charter challenges corporate law, which requires managers to deliver maximum profits to shareholders at all costs, irrespective of the resulting damage that may be wrought upon the environment, employees, or communities in which they operate. Shareholders who invest in B-Corporation stocks are made aware from the outset that the company will use Triple- Bottom-Line criteria to measure its success. Worker and producer-owned cooperatives (coops) are regaining popularity in production niches that private corporations don’t find attractive for one reason or another. Food coops have long been a part of the landscape in many communities. Other kinds of coops have been around for decades, originating with farmers who needed to collaborate in order to process or distribute their crops and food products. Today, coops are emerging fastest in local economies that have been abandoned by private business. The Mondragon cooperatives  in the Basque region of Spain offer an excellent, scaled up example of what is possible. Mondragon is one of the largest industrial groups in Spain, owned by its thousands of associate members, not by absentee shareholders. Mondragon has grown hundreds of individual business units, including retailing, manufacturing, and computer services. One of the first things members did when founding the Mondragon coop was to open their own bank. They put their own money in their bank so that they could fund new ventures themselves without having to depend on corporate banks to finance them. Another coop stronghold is the Emilia-Romagna region of Italy . Both of these regions have shown more resilience, with lower unemployment rates when the banks stop lending and the national economy slows. Limited equity housing cooperatives provide housing alternatives at a lower price than conventional private ownership. Due to their cooperative ownership structure and covenants that restrict private resale of coop shares, limited-equity cooperatives don’t qualify for bank mortgages. Members agree to coop covenants that call for sharing operating costs and require that a certain percentage of profit from the sale of a member’s property be returned to the coop for future investment in the housing infrastructure. These percentages can be gradated based on the number of years of ownership. As a result, purchase prices can be significantly lower than for similar, conventionally owed homes. The price differential between a unit in a limited equity coop and a similar privately owned property is also indicative of the price inflation that results from the availability of bank credit for real estate purchases. The availability of mortgage loan money drives up the buyers’ bid price beyond what many buyers can afford to pay in cash. Limited equity cooperatives offers home buyers an alternative to being pulled into the vortex of interest-bearing mortgage loan debt service. Intentional communities (ICs) are another form of cooperatives in which members share resources; the most important of which is housing. Housing accounts for over $17,000 annual average expense in 2014, and increasing by almost 4%/year. In an intentional community, individuals and families can live in small, easily maintained, and efficient structures that cost well under $50,000 each, corresponding to annual mortgage or rent payments of less than $5,000. The second largest expense is transportation, at about $9,000 per year. In an ideal IC, there will be many opportunities to work and make money within the organization, and for those who must commute to work, ride sharing and electric vehicles can greatly reduce this cost. An IC also, perhaps most importantly, provides the social benefits of shared responsibility for children, the elderly, the sick, and those who have no family or find it difficult to make friends. 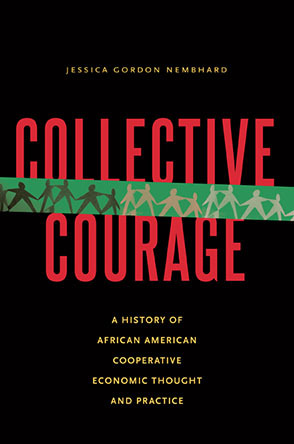 “It takes a village,” and the wide range of experience, abilities, and beliefs of a larger group of people in a cooperative setting provides this to a much greater extent than typical urban or suburban venues. Keeping money local builds resilience. When the megabanks issue money, in the form of debt with attached interest, they prefer to issue this money to large corporate clients. Those corporations are then under constant pressure to repay those debts plus interest. This in turn compels them to seek cheap labor and markets outside of their local geographic footprint to increase sales. Reversing these national monetary trends requires new forms of money and an attendant shift in the values that drive economic activity. .
Credit unions are member-owned and democratically controlled non-profit financial cooperatives. Their goals are to promote thrift, and provide credit and other financial services at competitive rates to their members. Interest paid to the credit union stays local. They work well when members step forward and take advantage of the credit union structure by participating fully. Public banks focus on transferring taxpayer’s dollars into repositories controlled by the public for more localized common good. Public banks write low interest loans to state governments or government agencies, and may make loans to other banks that are funding businesses in the state. The ninety-seven year old Bank of North Dakota Bank is the only example of this kind of bank in the US. Land trusts represent a way to convert land from private real estate to a community resource. Rural land trusts were originally conceived to provide farmland for agricultural workers in the American south as an alternative to sharecropping for private landowners. The first urban land trusts served to provide affordable housing, as well as commercial and public service facilities. There are now about two hundred and fifty community land trusts in the United States. The National Community Land Trust Network provides training to those who wish to establish a land trust in their community. Today, with thousands of acres of abandoned land in our former industrial cities, the opportunity to establish land trusts offers tremendous potential for building local sustainable economies. Shifting land or buildings from private to community ownership, while offering space for businesses and cooperative enterprises, means rents can replace property taxes to pay for public services. This lessens the tax burden on homeowners and local businesses while keeping income local, rather than sending funds out of town to absentee real estate owners. The de-growth economy, a system that values people and environment over exclusively profit-driven growth, requires new types of currencies including non-interest bearing instruments of exchange. These currencies are designed to create more demand for economic activity as they circulate. They reverse the tendency to hold on to money and not spend it, which lessens demand and ultimately employment. Alternative currencies are options designed to supplant the scarcity principle inherent in Federal Reserve issuance of money as bank debt. These currencies are issued in local communities in a variety of ways. They circulate locally and can’t leave the community. So they support lively exchange, community-building, and keep money local. Mutual credit is an emerging credit system in the US, of which Bay Bucks  is an outstanding example. Mutual credit systems such as Bay Bucks link enterprises through trading relationships. They exchange among themselves by extending credit without having to borrow the increasingly scarce national currency. In Switzerland, the Wir,  a mutual credit system established during the Great Depression, has served more than 60,000 enterprise members with a central clearing house for exchanging credit. 1. Institute for Taxation and Economic Policy, 2011. 2. Modern Money Mechanics: A Workbook on Bank Reserves and Deposit Expansion, The Federal Reserve Public Information Center, Federal Reserve Bank of Chicago, P. O. Box 834, Chicago, IL 60690-0834: http://www.rayservers.com/images/ModernMoneyMechanics.pdf, describes the process of money creation in a "fractional reserve" banking system. 8. The WIR Bank, or WIR, is an independent complementary currency system in Switzerland that serves businesses in hospitality, construction, manufacturing, retail and professional services. WIR issues and manages a private currency, called the WIR Franc, which is used, in combination with Swiss Franc to generate dual-currency transactions. Brett Barndt is a social researcher currently working on narrative approaches to engaging ordinary people in money system reform as part of the transition to sustainability.